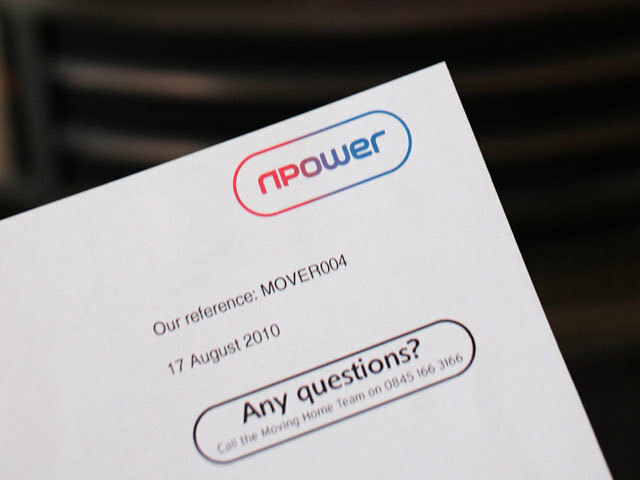 Npower has become the third “big six” energy supplier in as many days to raise its prices to match Ofgem’s increase to the price cap last week. Gas and electricity bills will rise by 10% for one million npower customers on its standard variable tariff (SVT) from April 1, comparison site uSwitch.com reported. The increase will take the company’s standard plan to an average £1,254, an increase of £118, while prepayment meter customers will also face a £106 (9%) price rise. Npower said: “Ofgem has increased the level of the SVT price cap by £117 in response to increased costs being faced by the industry. On Tuesday EDF announced its variable tariff would rise by 10% from April 1, a day after E.ON announced an average 10.3% price increase from the same date. Affected customers – more than one million at EDF and about 1.8 million at E.ON – will also see their average bills rise to £1,254 – up to the level of Ofgem’s new price cap. Last week, Ofgem said it would increase the price cap for default and standard variable gas and electricity tariffs by £117 to £1,254 a year from April 1 due to hikes in wholesale costs. Rik Smith, energy expert at uSwitch.com, said: “These announcements are coming like clockwork, shattering the myth that the cap is guaranteeing a good deal for customers on standard tariffs. “It’s vital that households don’t fall for the price cap con. “Since Ofgem announced last week that the level of the cap was going up, over four million customers have already been handed a £490 million confirmed bill increase, kicking in on 1 April.